Are you thinking about starting a blog for your business? Blogging has become an integral part of almost every marketing strategy. The role blogging plays in your marketing strategy is key to driving traffic to your website while increasing your search engine optimization (SEO). It allows you to position your brand as a leader and develop better customer relationships. Blogs increase your SEO. Blogging about your business, industry, products or services will increase your search keywords. Keywords and topics on your blog play a significant role in the way search engines find your articles. List out the keywords, topics, and categories you want your business to be found with. Updating your blog regularly with fresh content will give you an edge over your competitors in the search engine results page. Having content that performs in search engines can help you succeed. Your blog is one of the best marketing tactics to drive traffic to your website. It gives you the opportunity to create relevant content for your readers that will drive them to your website. Utilize inbound links in your blog articles to drive traffic to landing pages of your website. When you drive traffic to your website through consistent blogging, the result is increased sales. Another benefit to having a business blog is that its content gives your readers the confidence to trust your brand. Blogging gives you the ability to position your brand as a leader in your industry and can enforce a stronger brand connection with your readers. Your brand’s identity needs to be created with the customer in mind if it is to be believed in and trusted by them. Find your niche and start blogging about your products or services. Blogging gives you the opportunity to connect with your customers. By connecting directly through your blog, your clients are able to get to know your business. Customers like to be informed, and appreciate that you are the one providing them pertinent information. Respond to comments and interact with your consumer regularly just as you do on your other social sites. Blogging builds brand awareness and allows you to create fresh, relevant content for your customers. In time, this increases your SEO and will drive more customers to your website. Don’t miss out on the benefits your organization can derive from blogging and start your own today! It’s true! Not all customers are alike. In fact, every customer is different and expects a personalized experience. Customers will no longer engage with marketing campaigns that treat them as an assembly line. Segments can be built based on customer activity. You can target customers that are taking action such as interacting with your social networks or by simply opening your email. You can also create segments based on customers that are less active. Messages should be tailored based on your customers’ engagement level. Create segments of your database that are comprised of customers who have filled a shopping cart, but did not complete the purchase. Send them targeted marketing campaigns with products from their abandoned shopping cart to help complete the conversion. You can segment customers based on specific products or services purchased previously. This information can be used to send them personalized emails that are catered to their interests. Another great way to provide a unique experience is to include add-ons from past products or services they once purchased. Customers fall at different stages in the sales cycle. Depending where each customer fits in the funnel, sending them a personalized message moves them along in the sales process. These segments will improve the lead nurturing process and can increase conversion rates as well as speed. Capturing customer interaction with your website is important. Take your website traffic data and segment based on their webpage visits. By identifying these key groups, you can provide them content that is most relevant to their needs. Keeping your customers engaged after purchase is imperative since this interaction could determine if they become a repeat purchaser. Follow up with personalized content based on their last purchase date. Sending them a simple survey about their purchase experience or product feedback will keep the customer engaged. Targeting groups based on product and category purchase history can have a deep impact on your ROI. For example, sending customers who repeatedly purchase mailing lists have an interest and a need for them. Providing customers personalized content based on their product preferences can boost engagement and increase conversions. Segment your customers based on how frequent they purchase. Knowing how often your customers purchase allows you to try to re-engage less active shoppers or reward frequent purchasers. For instance, you can offer discounts to less active purchasers to drive conversion or invite active purchasers to join your loyalty program. Knowing where your customer resides is important information. Segmenting by geography is one of the most common forms of data segmentation. Creating customized segments based on geography can help you tailor your marketing message based on their location. For instance, you don’t want to market sleds to individuals that live in San Diego. Track customers who have opened or clicked on your email campaigns. If a customer opened your email, continue to include them in your email program until they finally click. If they clicked a link within your email, follow up with a phone call. This will help move the customer through the sales funnel. 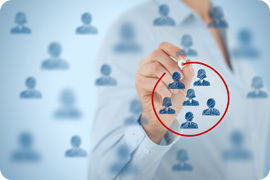 Data segmentation helps clearly define how to target each group of customers and the patterns that differentiate them. Determining segments based on transactional, behavioral and demographic data will help you gain a deeper understanding of your customers. Contact us today to learn more about how data segmentation will allow you to send relevant content to your consumers and increase conversions! CAS Gives Back on #GivingTuesday! ‘Tis the season of giving thanks by giving back! #GivingTuesday, is a global day dedicated to celebrate generosity and giving back. 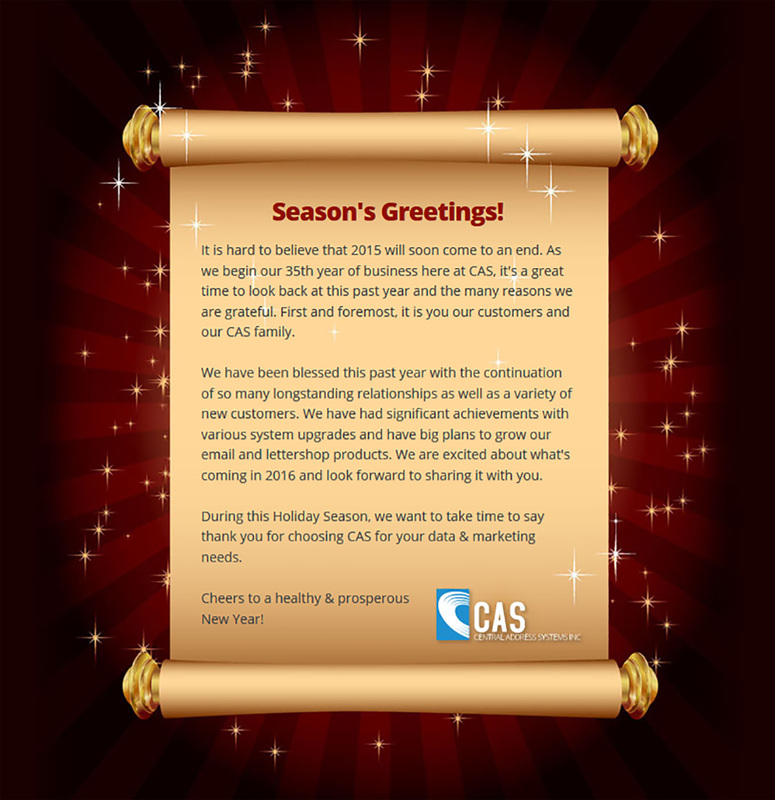 CAS is excited to be part of the celebration this holiday season. CAS is supporting #GivingTuesday by donating 10% of one regular priced order per customer from December 1st – 11th to the American Cancer Society. The American Cancer Society is a nationwide, community-based voluntary health organization dedicated to eliminating cancer as a major health problem. Use the GivingBack15 promotional code when ordering and CAS will make a donation on your behalf to the American Cancer Society. Thank you for your support and helping give back this holiday season! Click here to join CAS in giving back! ‘Tis the season to capitalize on your marketing efforts and optimize your email marketing strategy. The holiday season presents a major source of revenue for most businesses, so it’s important to have your holiday email strategy ready to go. Follow our six tips to ensure this year’s holiday season is a success! By segmenting your audience into categories, you can build different email campaigns and target each segment with a specific creative that will resonate with your audience. Segments can be built using data points such as time of purchase, purchase frequency, or type of products different customers have purchased. By identifying these categories, you can send exclusive holiday deals to your best customers or target last-minute shoppers based on last year’s purchase data. Mapping your customer journey can help determine the right marketing message to send at the right time based on their shopping behavior. By establishing the patterns of your customer’s buying journey during the holiday season, you can better predict their next action. This will allow you to automate your email campaigns to trigger content and offers based on customer behaviors such as abandoned shopping cart, abandoned web browser, or product purchase. Consumer behaviors change during the holidays and so should content. During the holiday season, content will have a different tone. Content should announce your holiday plans, remind your audience about special offers, and include important dates and deadlines. When done the right way, content is a great way to increase engagement and build brand awareness. Partnering with a local charity, school, or organization to help raise donations is an important part of the holiday season. Consumers are more likely to have a positive view of a brand that gives back. Planning an email campaign focused on Giving Tuesday is a great way to strengthen your brand. Email should be tied in with other marketing channels. This is even more important during the holiday season because a large portion of revenue can be generated during this time. Syncing holiday related copy on landing pages and social media should tie in or pick up where email content left off. If you have email content focused on “Black Friday Deals” incorporate that into your social networks. You can also add social media icons to all of your email campaigns to make it easy for recipients to share your content. The holiday season is a great time of year to thank loyal customers. Plan a holiday email campaign letting them know you appreciate their business. This will not only build and strengthen important bonds with your customers, but your business will reap the benefits. Sending your customers exclusive offers and other personalized messages is also a great way to let them know you value their relationship. Make your holiday season count by incorporating these tips into your holiday email strategy. Contact us today if you’re looking to learn more about how to improve your holiday email marketing program this season! CAS attended the 2015 &THEN version of the annual DMA conference and exhibit show earlier this month. There were some interesting re-branding changes such as area name changes, more general public sessions, an excellent conference schedule, and some good/bad ideas were tried. CAS met with a lot of clients, and new people in the direct marketing industry which allowed us to see new ideas and new trends that are coming. There were many good discussions and marketing concepts debated during the three days of marketing immersion. You will be happy to know that nSightful / CAS is on the leading edge with our integrated marketing services that blend direct mail, email, social media and telemarketing to reach prospects in the way they want to be contacted. Our complete suite of marketing services was easy to present to newbies in our industry and really generated lots of interest. All in all, the 2015 &THEN DMA conference was a good use of time, and CAS will be there next year! We recently attend the NAIFA tradeshow in New Orleans and it was a success for CAS! We exhibited for the first time at this event and are pleased with the overall activity and traffic at the show. We made numerous new contacts and the amount of follow-up has made the trip well worth it. We were able to talk with financial and insurance leaders from all across the United States about their business needs and marketing focus. Our conversation topics with these professionals revolved around how CAS can help them find additional customers. We talked specifically about our nSightful Email product and the process we have in place with email to find new customers. Another topic was about how we can take care of database maintenance with our variety of data processing services. All attendees were responsive and open for discussions. The professionalism of the show and the attendees really stood out for CAS. Follow-up will be important, but making new relationships was our goal and we succeeded! Count & Order System Upgrade! Turbo Count & Order System Upgrade! CAS is pleased to announce that we’ll be launching our upgraded count and order system on September 21, 2015. Our in-house IT and web design teams worked together over the past year to complete this upgrade and are proud to share it with you! The overall functionality our clients are used to is still intact, so nothing new to learn! We have updated some of Turbo’s features such as compatibility with a variety of browsers and incorporated a new design to enhance the user’s experience. Our count and order system offers you access to sell a wide variety of data via your own branded website. This private label capability provides you a fresh product offering for your clients and a new source of profits! Click here to learn how CAS’ Turbo Count & Order system can benefit your company today. Who are your most profitable customers? Knowing your best customers and their value can help you find more like them within your current market or new market expansion. Not all customers offer the same business value, so it’s important to distinguish between the most and least profitable customers. A clear picture of your customer’s value is key to developing and implementing successful marketing and customer relationship management programs. Such knowledge helps you effectively target your promotional, advertising, and marketing campaigns to your audience. You should continually review the value of your existing customers. Over time, customers who used to be highly profitable might want lower prices. Pay attention to your customers’ future potential as well. 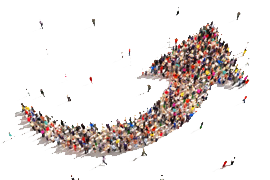 It may be worth cultivating a relationship with a small customer with high growth potential. Did you know that CAS provides print and lettershop services for direct marketing campaigns? Our in-house Lettershop can accommodate a wide variety of direct mail project sizes from design to delivery. We offer our clients a full range of lettershop services ranging from list processing, printing and inserting to sealing, metering and presentation to the USPS. With over 30 years of hands-on experience in the direct mail industry, CAS has vast expertise with postal regulations and discount opportunities allowing us to provide cost-effective solutions for your mailing project. Our recently upgraded Lettershop facility has the capacity, equipment, and knowledgeable team to execute any direct mail campaign.